FREE Bookmark with every order! 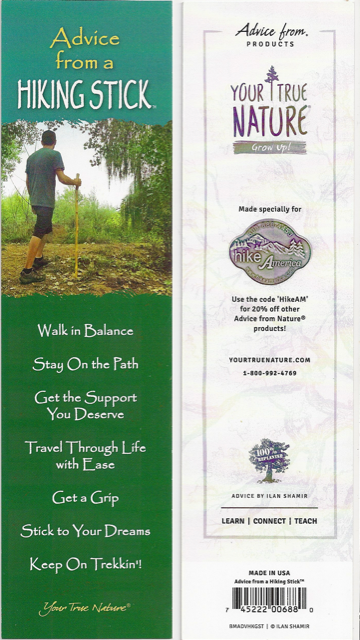 If your hiking staff could speak, it might share the inspirational quotes on this bookmark. We’re including one bookmark with every order – no minimum purchase required.